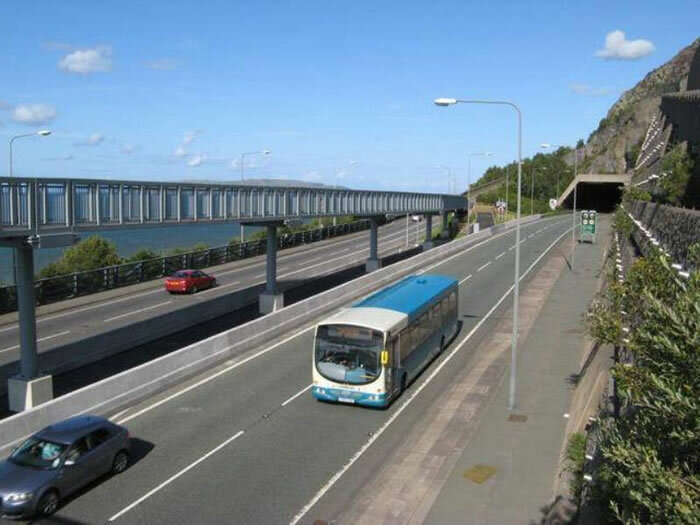 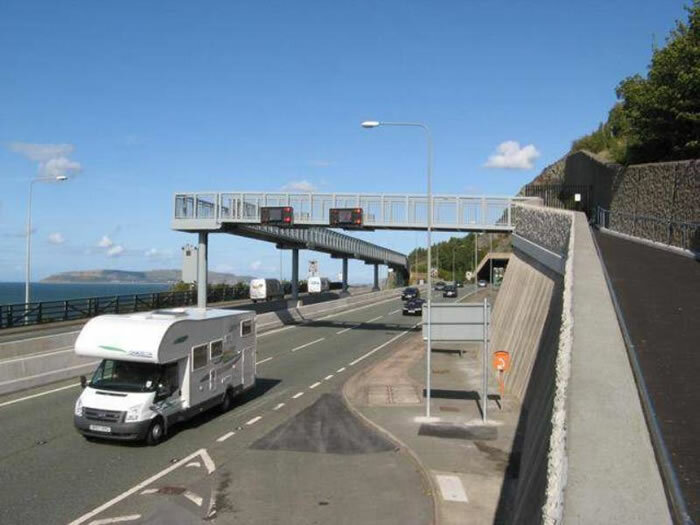 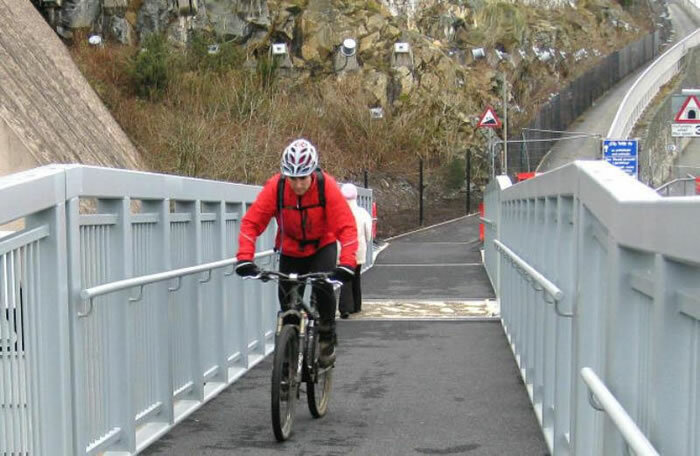 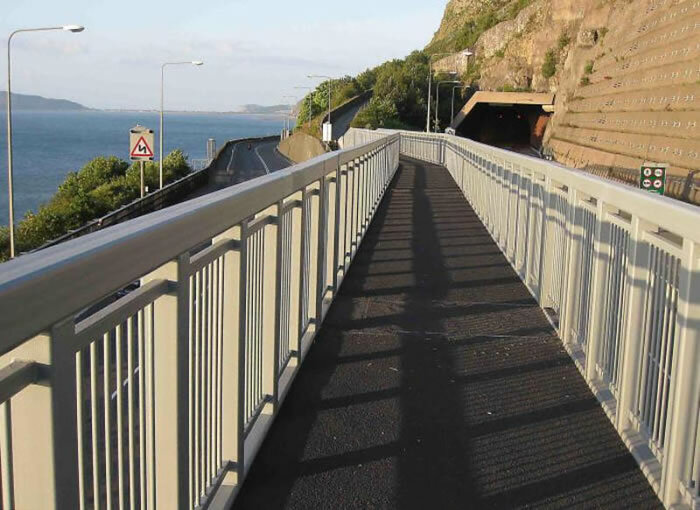 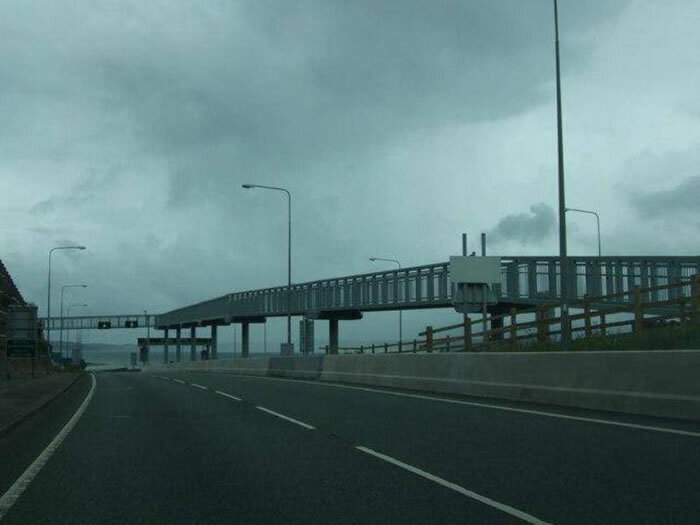 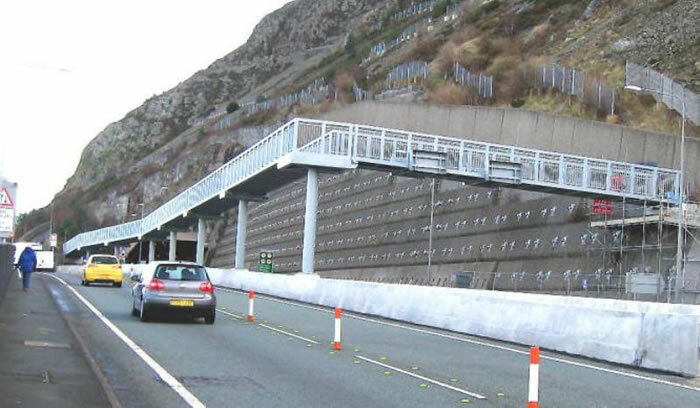 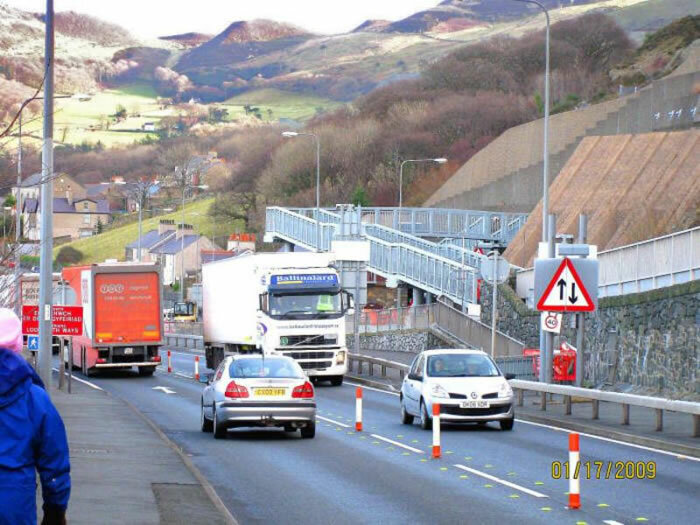 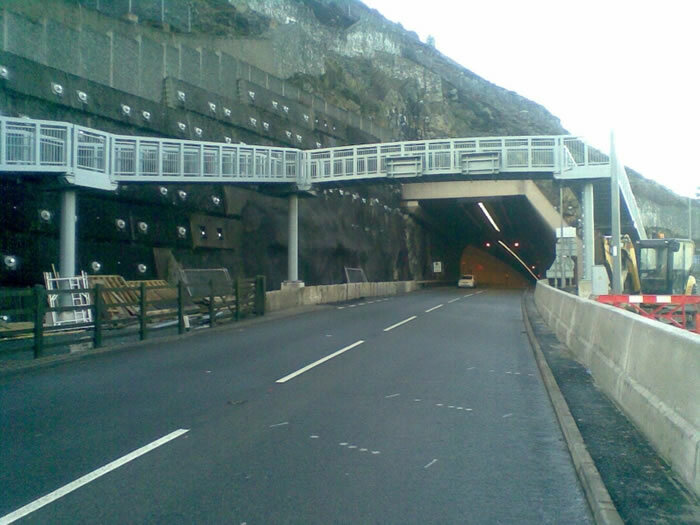 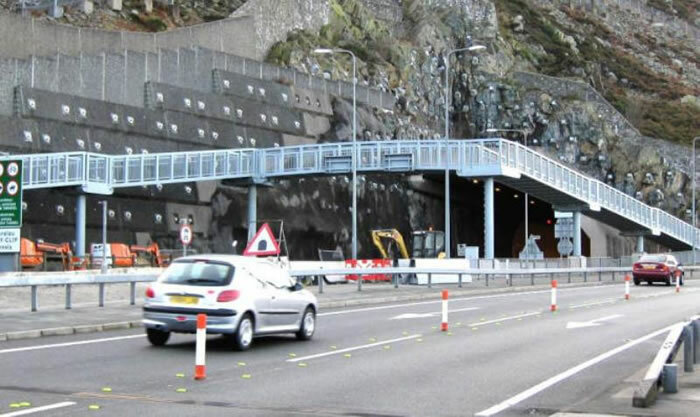 In 2009 two foot/cycle bridges were completed to provide a safe route for pedestrians and cyclists over the A55 trunk road in North Wales. 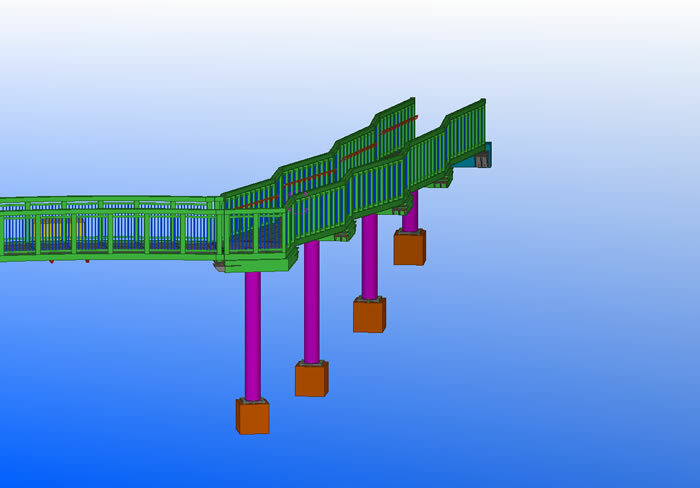 A-C-Ds services were acquired to provide full coordination of the project providing General Arrangement drawings and a Production Manufacturing package. 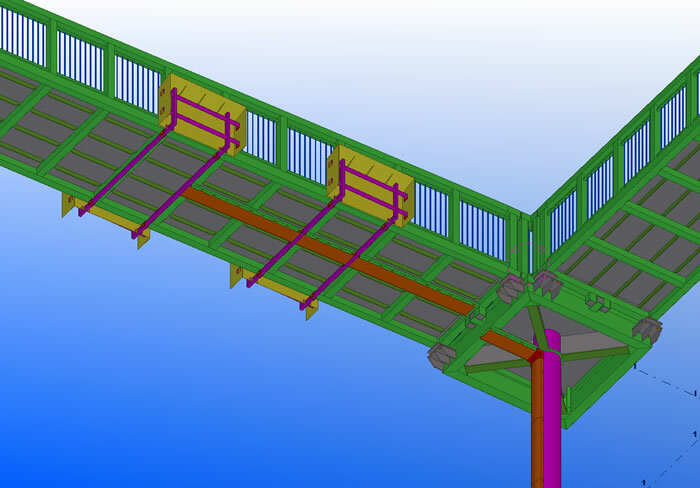 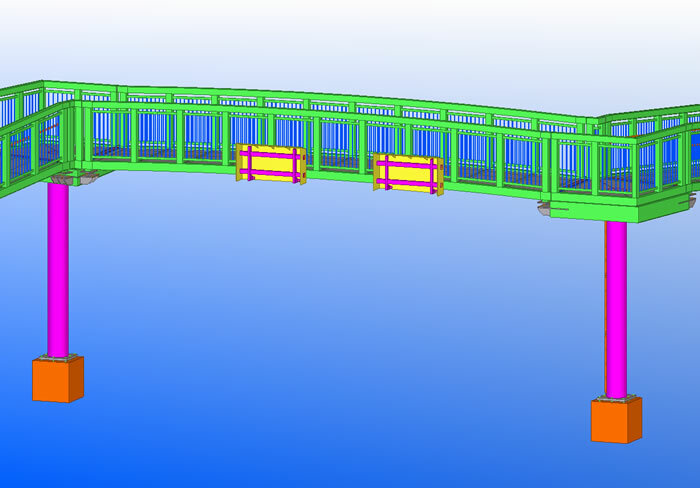 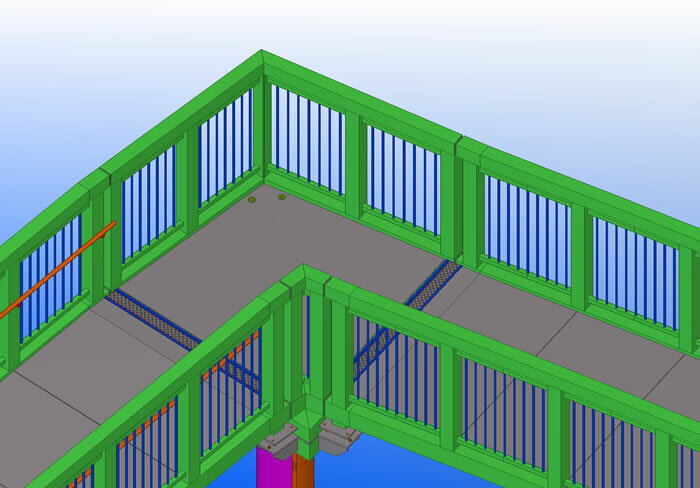 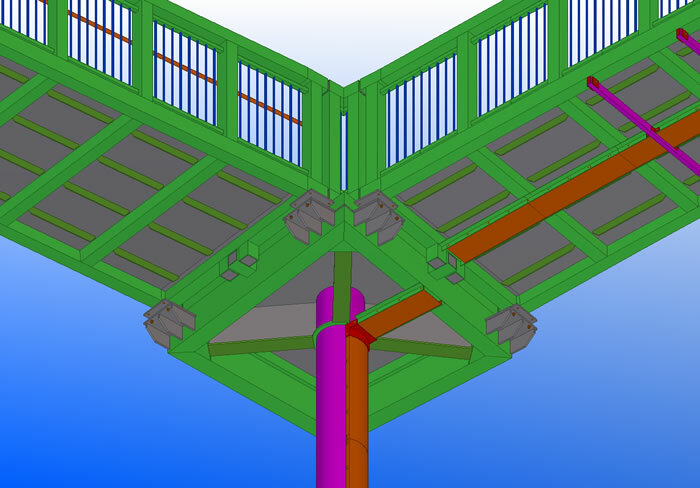 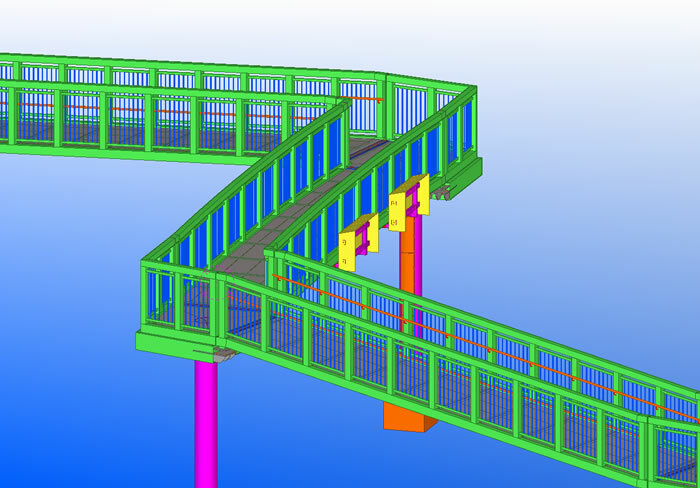 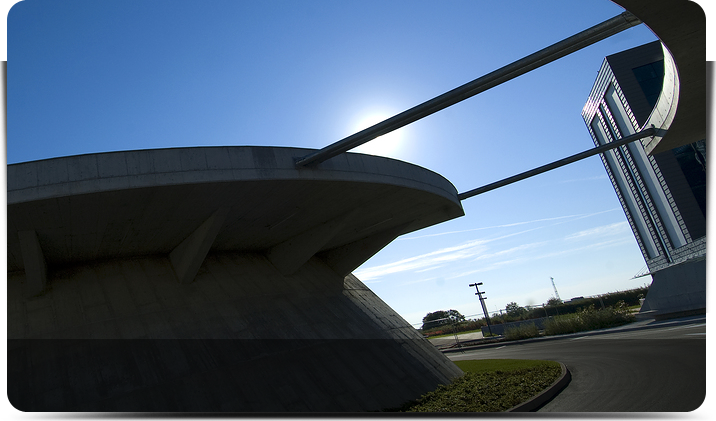 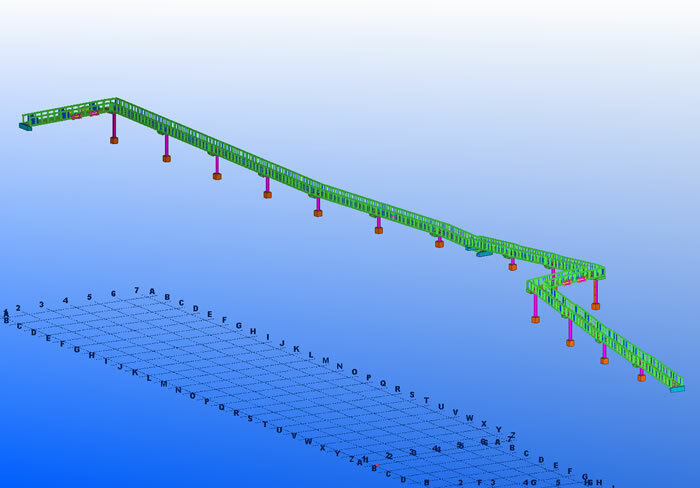 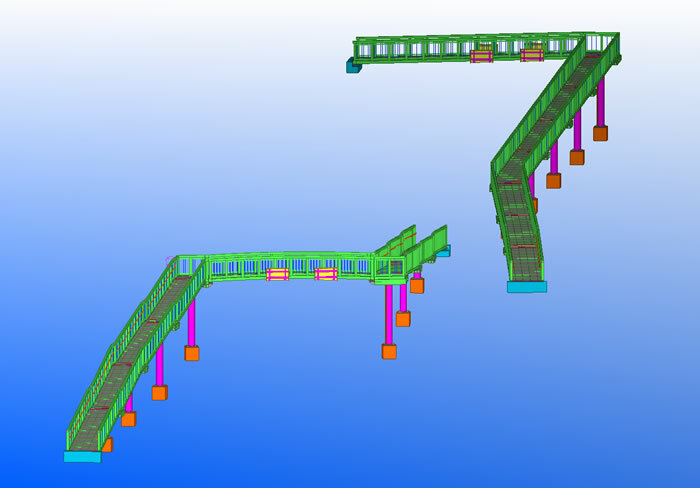 This included coordination of GPS site surveys imported in to Tekla Structures to ensure correct alignment of the bridge span sections and location of structural columns.